I'm a SQA Lead learning to be 3D artist, as painting & art was always my passion. Currently learning Blender. I decided to create this sketchbook to keep track of my progress. 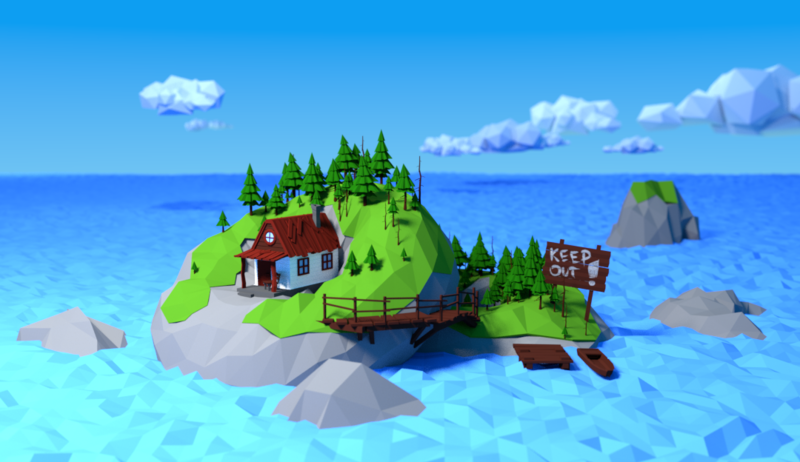 To start with something fun, I finished famous Blender Guru "Donuts" tutorial, but I thought what it would be like to live on a donuts... decided to create my own low poly island. 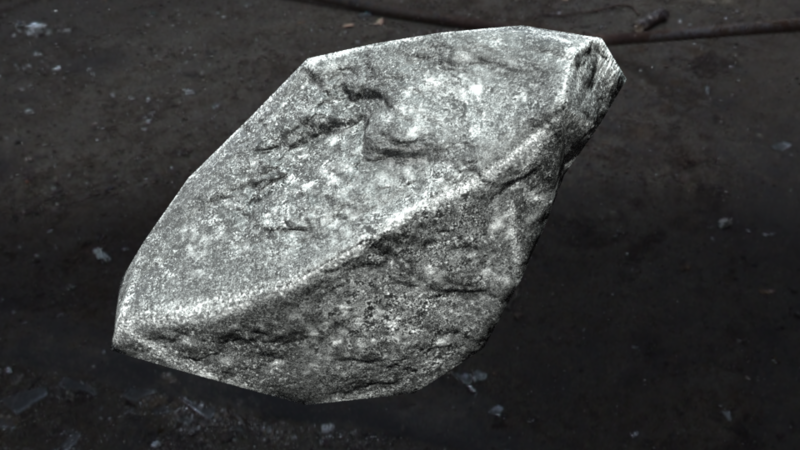 Day 4: I finished famous "Anvil" tutorial by Blender Guru, amazing work. 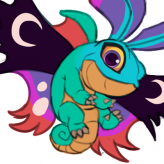 I decided that for each finished tutorial I will try apply it and create something new. 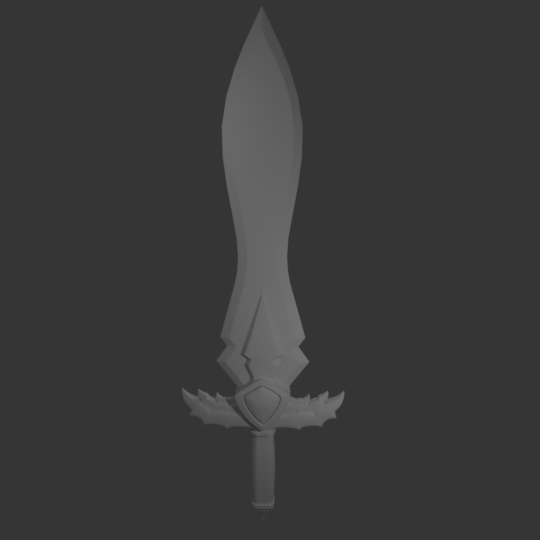 Yesterday I started working on a sword. 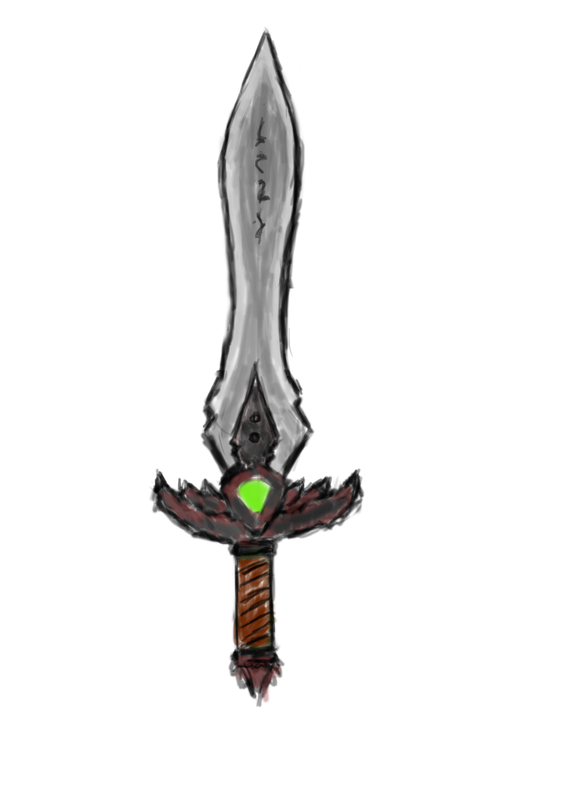 Made just quick sketch in PS. Based on that I started working on a Model, Unwrap & did some basic sculpting. Notes: Will have to check some sketching tutorials later on. I messed up a bit with sculpting, so baking Normal map didn't work out the best, next time need to be more careful around the gem area. 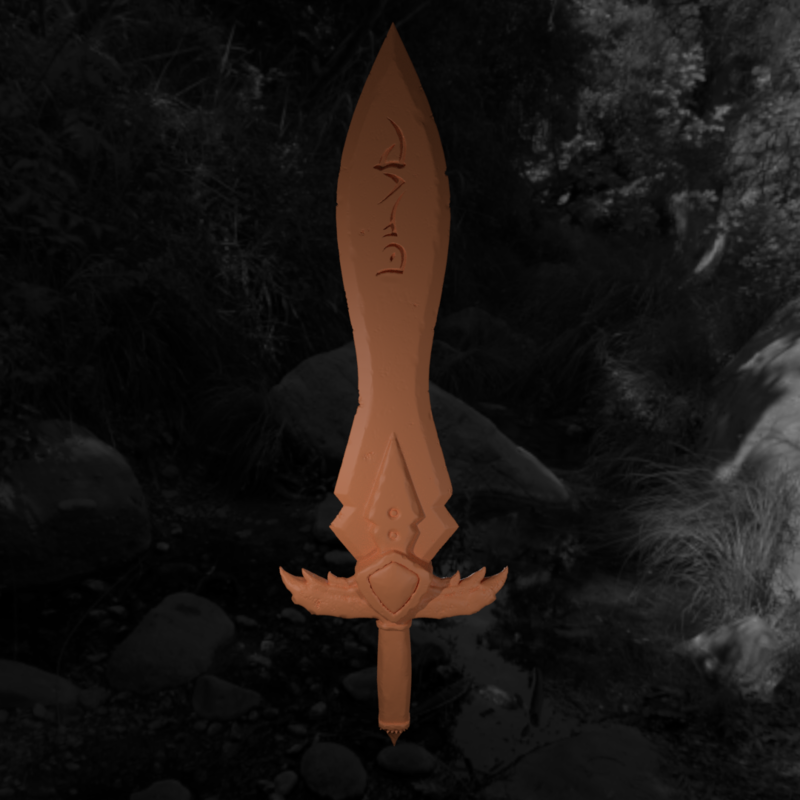 Day 7: I had to re-do the basic model a bit as I couldn't bake Normal map. 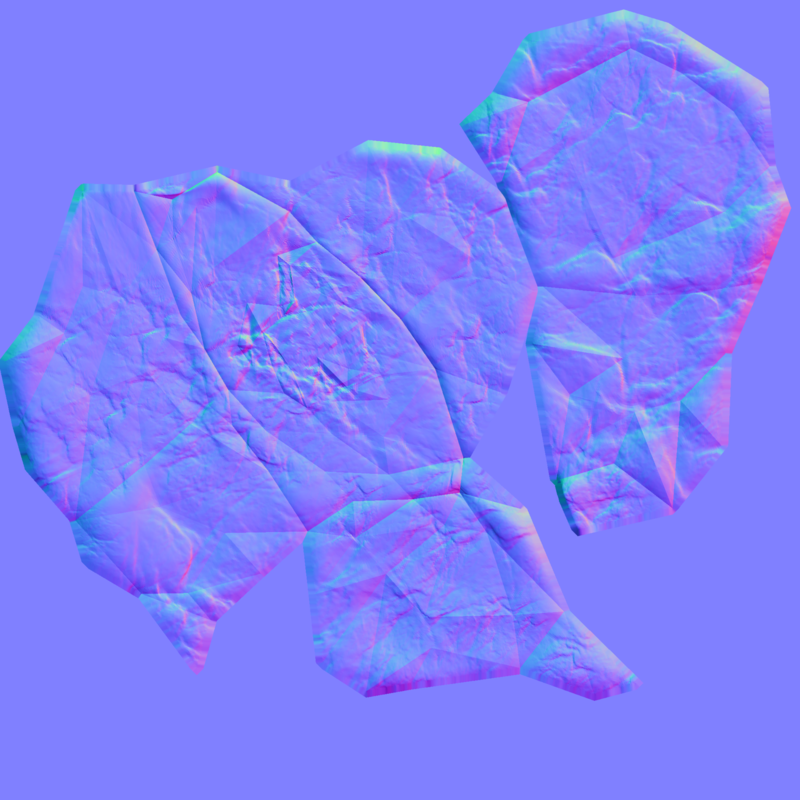 Now Normal map seems ok. Started working on the Materials, looks fine. Handle needs some fixing. 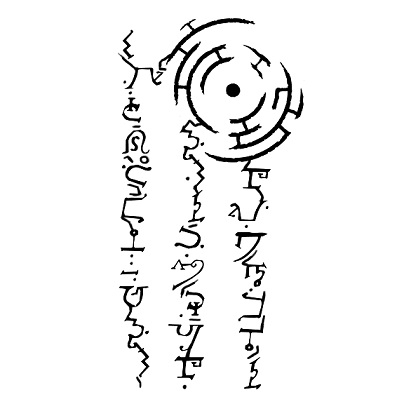 For that I need to learn Loop modifier, but for now in this version I will leave like this. To Do: Principal shader and I need to check more about PBR. Later on also Loop Modifier. Note for myself: Next time you learn something ... pick something easy, like a dice, or toothpick. Same as with Java, you start with "Hello World" but not with inheriting abstract classes....moron. Day 14: Finished basic PBR tutorials & articles from Polycount, amazing stuff. Finished Blender Guru's "Principal shader tutorial". 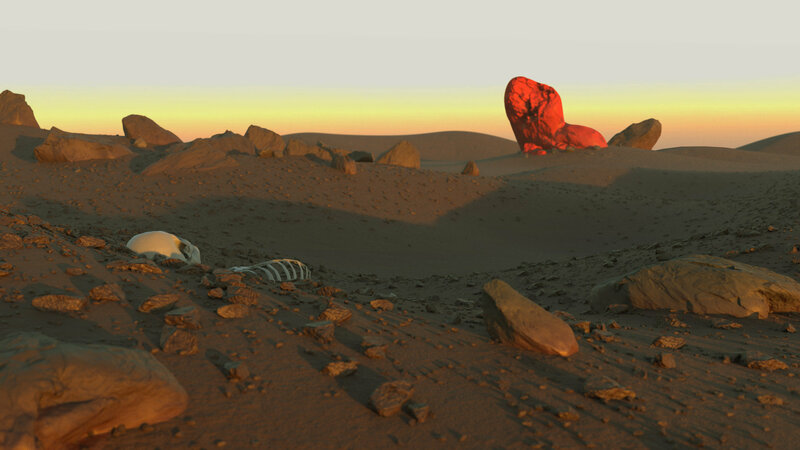 To Do: Blender Guru's Mars scene, I need to learn basics of rocks and grass, later on trees as well. Note to myself: Substance Painter, looks amazing. So much stuff to learn. Focus is on Environments & Props. 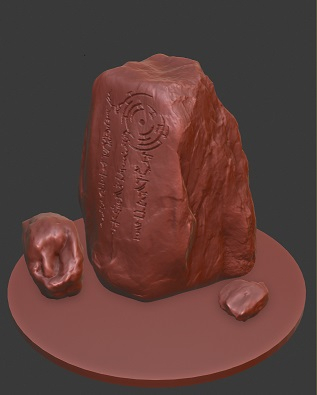 Day 18: Well for Blender Guru's Mars scene I need some Rocks, so I had to check some tutorials how to make rocks. It's a whole science. 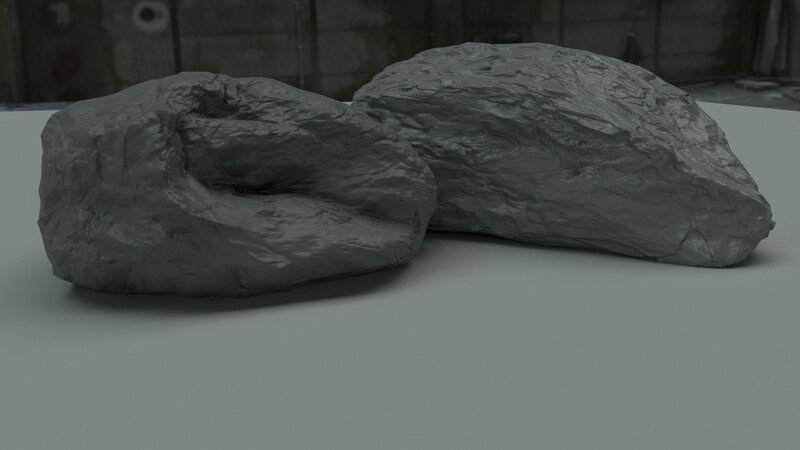 But with those tutorials I learned to Sculpt Rocks, Retopo - Squads (the hard and proper way) or triangles (automatic using Meshlab), combine Normal maps, Hide Seams with Clone brush (Texture Painting), Surface imperfections & import to blender from another file (Append). It's definitely not perfect but now as I can easily make some rocks hopefully I can work on the Mars rocky scene. To Do: Blender Guru's Mars scene. Micro-displacement, Blender 2.8. 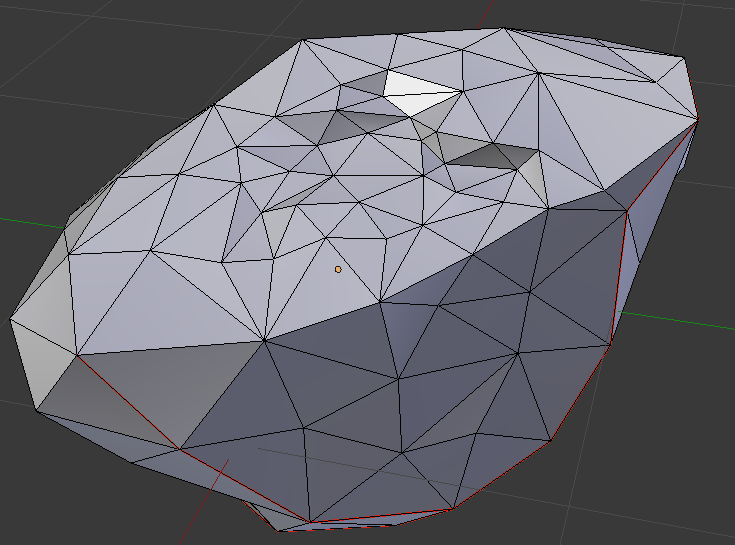 Note: 250 Triangles. It's a masterpiece rock. Day 26: Finished Blender guru's Mars Scene tutorial. 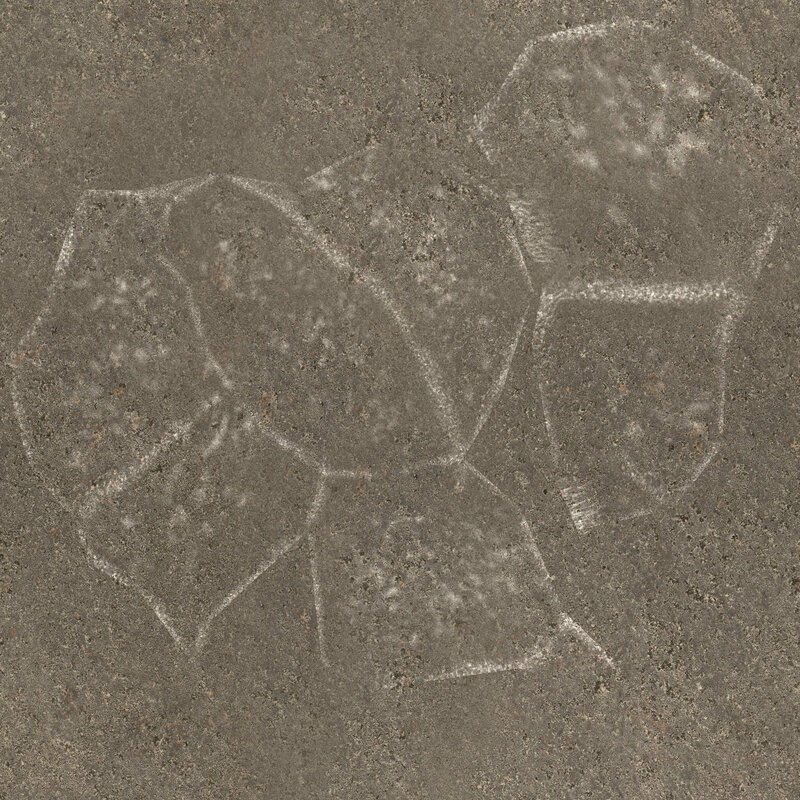 Modified it a bit so it looks like desert, let's call it "Artist who fell in love with CG rocks". Took a while but I learned so much. Whole scene is made up with 3 rocks, smallest rocks 250 triangles, medium 2500 and few bigger ones with 5000, no texture, just normal map. Render time was quite good, about 5 min. 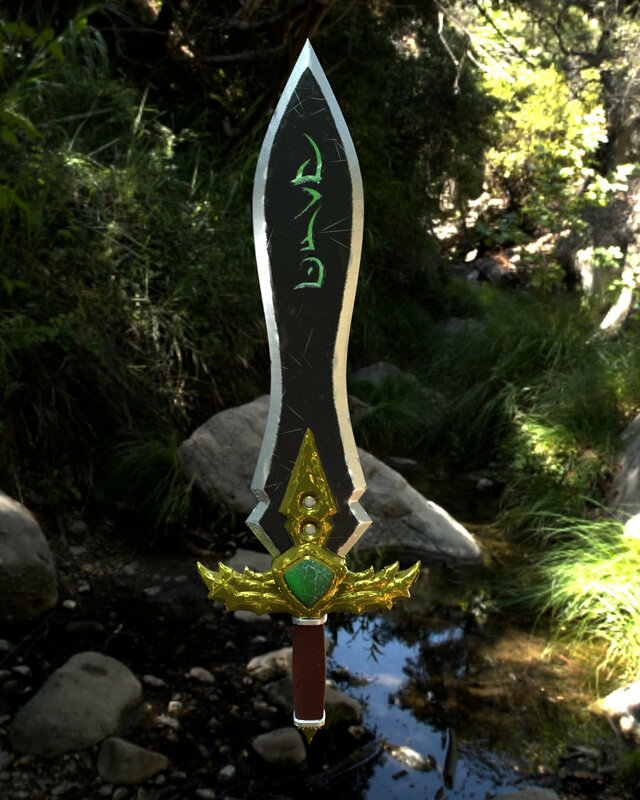 To Do: I really need to learn Substance painter, painting in Blender is quite painful. But for now postponing as first I want to improve sketching a bit. Note: Still so much to learn. 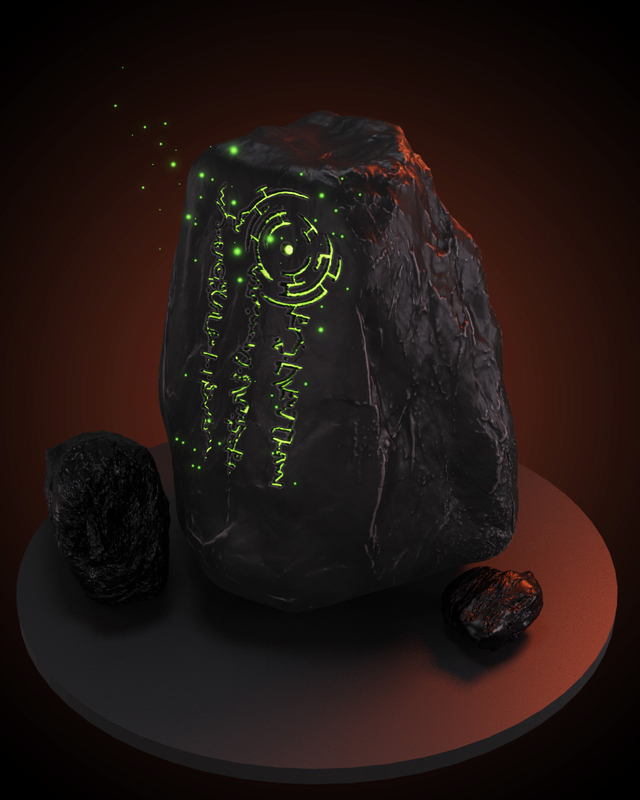 Day 35: Did a sketch of Rune-stone during week, during weekend I made the rune in PS, then I was focusing on different ways how to make runestone: bump map, normal map, making custom brushes for sculpting. Final result edited in PS. Note: Will focus on Substance painter a bit later. Tutorial is quite long and it's hard to focus on it after work. Sketching all the time to improve as well.